March 8 is International Woman’s Day. Working Women’s Day was first celebrated in the US in 1909. Inspired by the example of America’s working women, Clara Zetkin, the leader of the German socialist women’s movement proposed to the Socialist Second International that an annual International Woman’s Day be established. Its purpose was to commemorate working women’s struggles as well as to bring more women into the fight for women’s liberation and socialism. In 1911 IWD was marked for the first time by over a half million women, demanding the right to vote, be active in politics, for child care for working mothers, the right to organize into unions and an end to sweatshop labor. In 1917 the celebrations by Russian women marking international Women’s Day in St. Petersburg initiated the Russian revolution. International Women’s Day celebrations more or less ended with the rise of fascism, Stalinism in Russia and World War II. 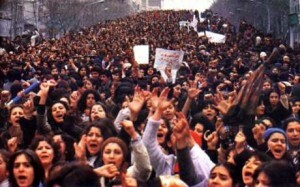 But the successful national and colonial revolutions in Asia, South American and Africa led to new IWD celebrations. In Europe and the United States, the radical women’s liberation movement rediscovered its herstory and International Women’s Day and there have been celebrations since the late 1960’s.